I hope lots of people will join in the March for Science. There are hundreds of them being held around the world. There are ten events being held in Australia, and more than 500 others elsewhere. I'll be going to the rally and march in Melbourne. To find the nearest march to you, the best site to start with is the main March for Science website, where you can look it up. If you're not a scientist and care about science, and care about facts, and value knowledge and its creation, then this is your chance to get policy makers and lobbyists thinking about it too. It's also your chance to let scientists know that you value the work they do. March for Science, Earth Day, Saturday 22 April 2017 - where you can look up the march or rally for science that's closest to you. 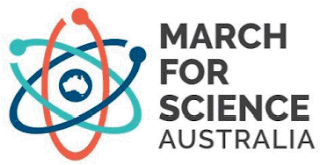 March for Science - Melbourne - the main website for Melbourne Australia, with a rather long pdf file to download. If anyone's going to the Melbourne march and wants to meet up, let me know - here or by email. Here's one marching in Helsinki, Finland. We've been warmed up by our own government's apparent scorn of academia and recent deep cuts to universities. That's not good. Seems to be a worldwide trend. bTW - If anyone has any pics they're willing to share on HW, let me know - or email to me. Sou it is simply that humanity is led by cretins who have no real depth of knowledge in anything. They make up for their inadequacies with made up memes to engender fear in the people they lead. Most ordinary people are too busy surviving or climbing the greasy pole to get nearer to the nebulous glittering prizes. I spent my whole working life working in science for the betterment of my fellow man with many others. A very rich man told me at a fancy pissup that I wasted my intellect on science when I could have been making a shedful of money in finance. I told him that I felt sorry for him as he did not even understand that when I told him "Science is more than a body of knowledge. It is a way of thinking." Carl Sagan. The science deniers are just rationalizing their own selfish desires for so called wealth in the same way. Throughout history all Empires that failed had the same symptoms before the fall. The consumer western society shows all these symptoms. The USA is 'number one' as they always claim! A society is in decline when absolute morons are elected or designated as leaders. The general populace lacking in a decent education will believe any sort of propaganda that fuels their fears. A good example is Labor's Carbon tax. It was reviled by the MSM and Opposition.